Seascape Condominium Management Association community is located on A1A directly across from the Atlantic Ocean. A private walk-over bridge connects to the beach at the Atlantic Ocean. 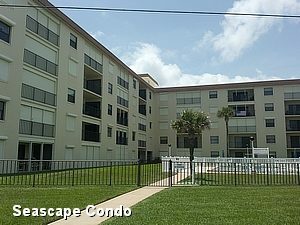 Seascape is a five-story concrete building with underground parking, as well as plenty of Deck Parking.